View our listing of Stärke Forklifts below! Stärke Material Handling Group offers a selection of internal combustion counterbalance forklifts for most work environments including warehousing, manufacturing, agricultural and retail applications. Our Professional Series of forklifts provide unmatched operator comfort, ergonomics, performance and quality. 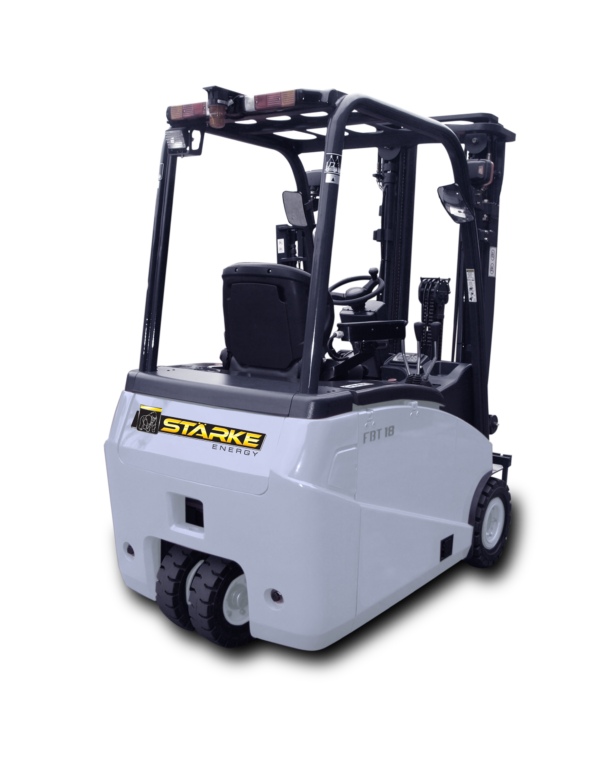 Stärke Material Handling Group is committed to providing high quality and durable electric forklifts and electric lift trucks for even the most challenging applications. Our counterbalanced electric forklifts offer an environmentally friendly and sustainable solutions with zero emission, low energy consumption models. As an environmentally friendly material handling solution, Stärke's Energy Series features a range of electric forklifts ideal for indoor work environments. Stärke is Strength. This isn't just a tagline, it perfectly describes how the Stärke brand performs in product design, customer service and value. Our EcoMaxx Series offer a dependable and economic solutions for businesses focused on their bottomline. Stärke’s LiftMaxx line of Manual & Electric Stackers, Reach Trucks & Order Pickers are designed for maximum maneuverability, optimized visibility, maximum performance and ease of service. Each is built for years of trouble free service. Stärke’s LiftMaxx lines of manual & electric pallet trucks are designed for maximum maneuverability, optimized visibility, maximum performance and ease of service. Each is built for years of trouble free service.